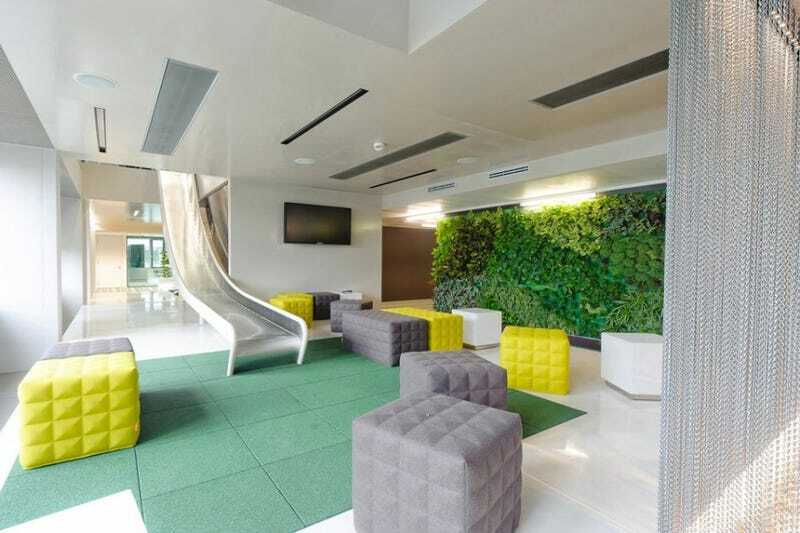 You will not believe who is the computer company that owns these amazing headquarters with a giant slide that connects two floor. A freaking slide for everyone to use! And a tabletop football room too. Google you say? Apple perhaps? Not even close. These beautiful offices belong to Microsoft. They are its headquarters in Vienna, Austria. The offices were designed by Innocad, an architectural firm that worked closely with the Microsoft project team to make it a reality.